Remington Notes was a house publication of Remington, published in the 1910s. Notes was subsequently followed by The Remport. Page 2 — “The Typewriter and the Aeroplane,” an article about Alfred Leblanc, who used the typewriter while flying reconnoissance missions. “[T]he chief obstacle to the present efficiency of the military aeroplane is the seemingly insignificant fact that pen or pencil writing is very difficult in the air.” To be sure, the pilot was not typing, but his observer passenger. The story includes photos and an aeronautical text message. Page 4 — Notes on stenography by Miss Mamie Wodraska. Page 6 — “Remington Typewriter Works, 1912,” discussing factory operations. The image above is featured across pages 6 and 7. Page 8 — “1776-1876,” containing a brief mention of the man Remington as the “champion” of the independence of women in America and the world — is this a reference to Remington’s sewing machine concern? The rest of the page discusses stenography. Page 9 — “The Remington New York Office,” engraving and description. Page 10 — “Count Tolstoy and the Typewriter.” In this article, the author wonders why Tolstoy, who eschewed wealth at the later part of his life, would use an expensive Remington Standard No. 10. The author reasons, “Tolstoy was a thinker, and thought is more rapid than the lightning flash. The man who toiled hard with his hands also though fast with his brain. And what was to keep up? …” Well, of course, a Remington. 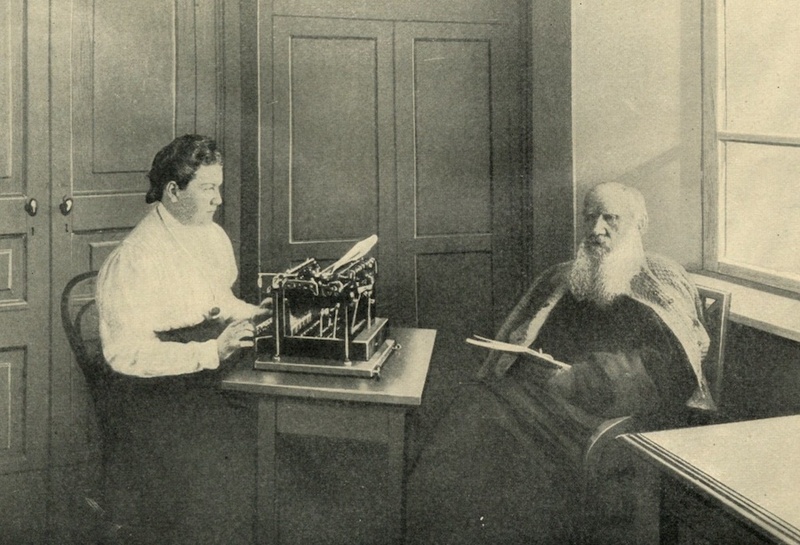 Tolstoy dictating to his daughter, Alexandra Lvowna, photographed by Yasnaja Poliana in March, 1909. Image featured on page 10. 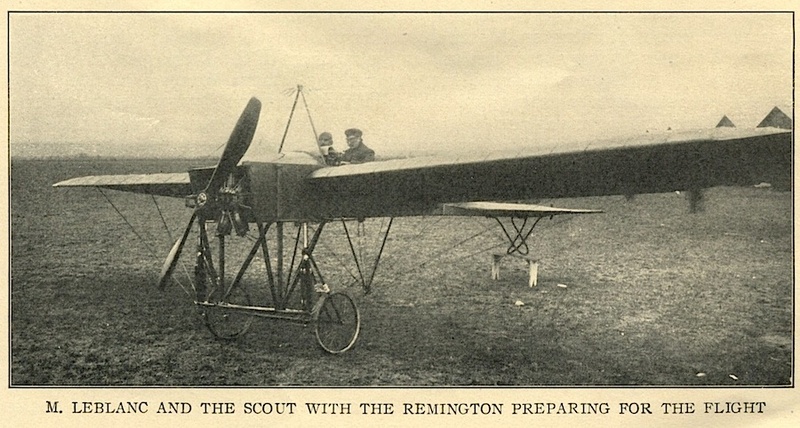 Page 12 — Promotion for the Remington Standard No. 10, the Smith-Premier 10, and the Monarch No. 3, sans Remington labeling. Three “visible” machines. Robert Messenger offers “Tsugi Kitahara: Miss Typewriter at the 1915 Panama-Pacific Exposition,” from Notes Vol. 3, No. 10. CircuitousRoot.com offers two issues (Vol. 4, No. 4, 1917 & Vol. 4, No. 7, 1918) here. If you know of other digitally archived Notes, please e-mail. More documents are posted on my Digital Ephemera page.